At first glance, you might think Prone Lying movements are similar to Yoga, or some form of stretching. Well, Prone Lying is one of many natural, practical, adaptable ground movements…that will stretch your body, make you feel looser, and improve your overall mobility, among other positive benefits. Imagine yourself in a natural environment – not indoors on a yoga mat or a functional fitness gym – but in the woods, for instance. Imagine yourself hiding, maybe stalking an animal, to photograph or hunt them – having to stay very low, and sometimes, having to look up or around, to visually scan your surroundings. Or, you could be trying to reach out to something quite uneasy to access. Now, in your mind, you have given these positions and movements their original meaning – their practical, real-life value, their adaptable nature. No more confines of “perfect form”: perfect is the position that feels the best, that adapts the best to the environment or the situation. This is real freedom of movement. Functionally speaking, these positions and movements are great. They will stretch you gently and naturally while you are thinking of the imaginary situation where they apply – lumbar spine and thoracic spine mobility, shoulder, wrist and hand, hip mobility, it almost covers it all. If you combine it with some of the other ground movements from the MovNat curriculum such as rolling, rocking, kneeling, and squatting, you’ll have a diverse toolbox to keep your whole body mobile while practicing practical, functional, adaptable skills. Practically speaking, prone lying is a great way to stay low while you observe and interact with your environment. It also serves as a great transition to and from other movements (see below for some examples). The best part? You can do this movement anywhere you have enough space to lie down – your home, the gym, even your office. And it feels GREAT! Needless to say, there’s a lot more to this movement than meets the eye. So, let’s give it a shot. Before we get to the different variations, here’s a demonstration of a couple of the basic Prone Lying positions. As you can see, the basic Prone Lying position involves laying on your belly with your head either laid down gently, or elevated with your arms. Note: While you’re practicing the positions and movements below, maintain ample abdominal/diaphragmatic breathing, which will provide extra benefits! Begin by laying on the floor or ground. Bend your elbows and support your upper body on your forearms, hands open and flat on the floor. Look forward. Keep your hips down, but don’t force them to press down onto the floor. Now, play with changing the position of your forearms, a bit wider, narrower, further forward, pointing inward or outward or externally rotating. Maybe support your head with one hand. Stretch your arms forward or sideways. Turn your head to the side, or look up. Move your arms so you can look backward, on each side. Extend one arm forward, or to the side, or up. Stretch and reach as far as you can. You could actually try to reach a real object or surface, to make the movement more realistic. Internally rotate one arm, then shift weight to the forearm. Rotate your hips and open your shoulder sideways and arm upward. Now, place your open hands on the floor at about head level or just behind, then press up. Both arms are fully lengthened, in the lock out position, which means that your arms are externally rotated, elbows facing the body. Again, keep your hips down, but don’t force them to press down onto the floor, or force the lumbar spine to extend and reach a state of discomfort – or worse, a state of pain. Find and maintain a position that is comfortable, or challenges you slightly. Similarly to the first photo, change the position of your hands, a bit wider, narrower, further forward, pointing inward or outward or externally rotating. Stretch your arms forward or sideways. Turn your head to the side, or look up. While keeping your arms lengthened and using the mobility in your shoulders and hip rotation, let your torso twist so you can look to the back, on each side. Move one arm to the center, aligned with the rest of your body. With your arm locked out, shift weight to that arm, rotate your hips and externally rotate your shoulder while reaching up as far as you can with the opposite arm, as if you were trying to reach something above you. Feeling like a Sphinx? You betcha! With this simple routine, you have explored several positions accessible through Prone Lying. If you are usually physically inactive, or active but without doing this type of movement, such simple natural movements will improve your day – even if you practice for only a minute or two. Once you’ve gotten comfortable in the Prone Lying position, you can try integrating it with other movements, such as these. We may live in a modern, industrial, digital-age environment that is radically different from our ancestors habitat, but we still have stone age body’s that need and crave natural movements like these in order for us to be strong, healthy, capable, and ultimately, free. Note: This article contains material from Erwan Le Corre’s book, The Practice of Natural Movement. At MovNat, we teach Natural Movement from the ground up – starting with the most rudimentary skills like sitting and lying positions, and working our way up to more challenging, athletic movements, such as jumping and climbing skills. Every natural movement we teach is inherently natural and has a practical purpose. It’s not merely about physical conditioning. Although, improved health, fitness, mobility, and conditioning are natural byproducts of a Natural Movement practice, which is both practical and functional, by its very nature. 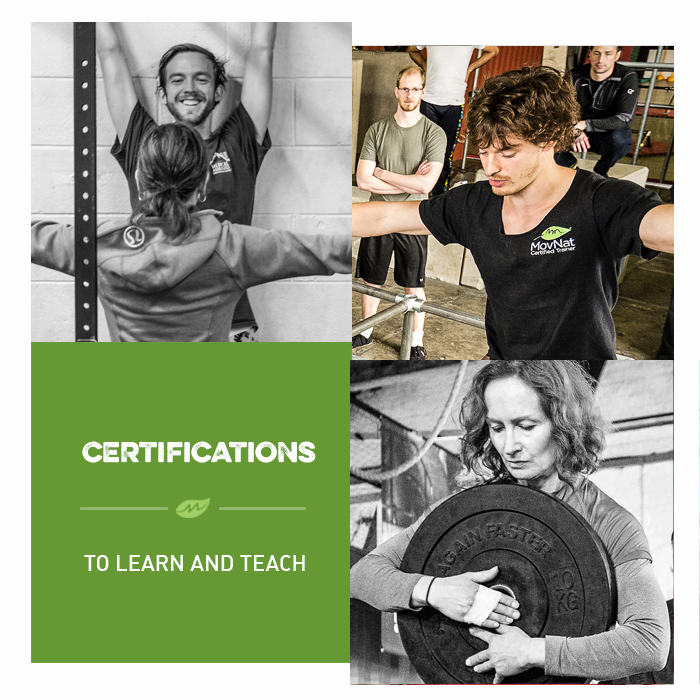 If you’d like to learn all about natural, practical, adaptable movement, join us for a MovNat Level 1 Certification or a MovNat Workshop. We hold events all around the world. Or, find a MovNat Certified Trainer or Gym in your area. We also offer MovNat Online Coaching as an alternative to live instruction and a Natural Movement Fundamentals E-Course.